Shalom uvruchim haba-im to the Thirty-Fourth Learn Hebrew Pod Newsletter. Israelis love to travel the world... Europe... the U.S.... and beyond! 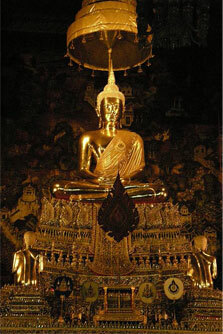 The exotic allure of the Far East calls to many Israelis, and Thailand has become a favorite destination. In fact, Thailand was part of Liat’s recent Far East itinerary, and she brought back a little bit of Thai culture with her. So get ready for a Thai-inspired treat. No need to speak Thai... we can talk about it in Hebrew! While the King of Thailand may not be an absolute ruler, he is absolutely loved and revered by his people. 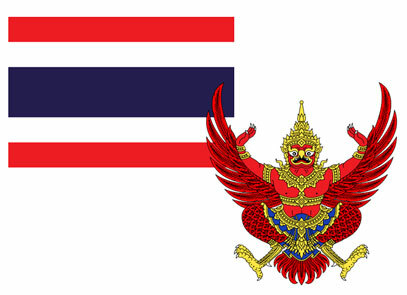 The current king has reigned since June 1946, making him the world's longest-serving current head of state and the longest-reigning monarch in Thai history. 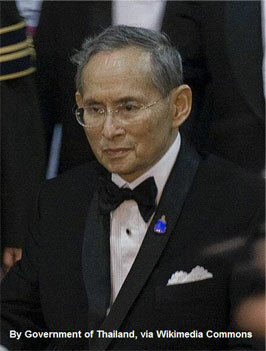 In English, his name is Bhumibol Adulyadej, though it is pronounced Phumiphon Adunyadet. In Thailand, every person is given a color based on the day of the week he or she was born. King Rama IX’s color is yellow, which is associated with Monday, the day he was born. 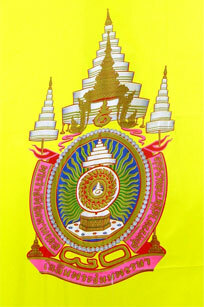 One sign of the people’s devotion to the king is the predominance of yellow throughout the streets of Thailand. Every Monday, thousands of Thais wear yellow shirts in honor of the king. 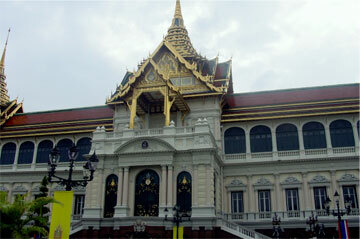 Thailand is home to incredibly intricate and distinctive architecture, perhaps the most extraordinary example of which is the Grand Palace in Bangkok. which is practiced by 95% of the Thai population. 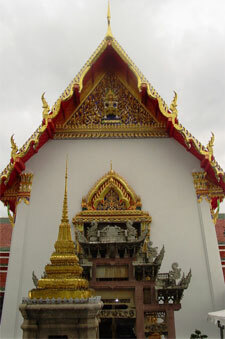 the Buddhist temple, or wat. are a major feature of most wats. 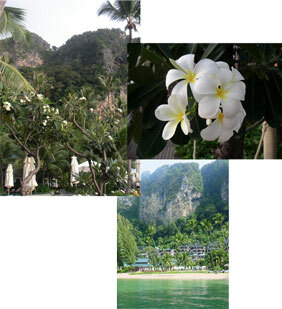 Thailand’s tropical climate is characterized by distinct monsoon seasons as well as hot, humid weather much of the year. 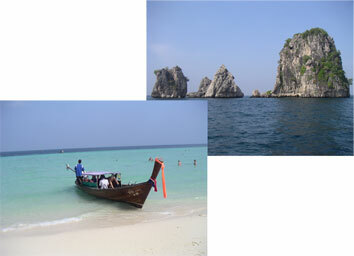 Thailand’s southwest coast lies along the Andaman Sea and is dotted by lush tropical islands. The Thai coast and its islands are well-known for being home to some of the most magnificent and luxurious resorts in Asia. 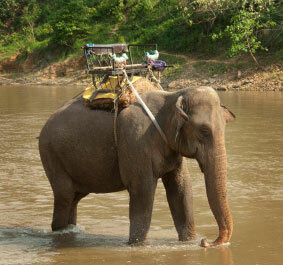 The Northern part of Thailand is forest and mountain country and is home to many of Thailand’s elephants. Elephants have always played a major role in Thai culture, as a symbol of royalty and good fortune. However, recent times have been difficult for Thai’s elephant population, which now numbers only 2,500. You’ll find many of these elephants in the North, but on occasion you might even see one on the streets of Bangkok. Central Thailand is often called "the rice bowl of Asia." 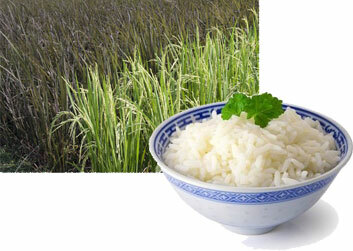 As the number one exporter of rice in the world, Thailand exports more than 6.5 million tons of milled rice annually. Of course, rice is also a staple of the Thai diet, and some well-prepared Thai rice is the basis of many a delicious Thai meal! 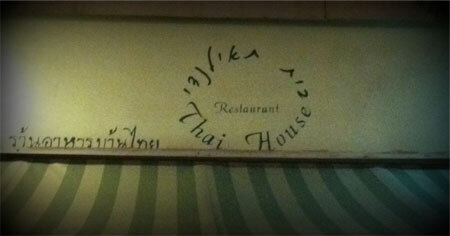 Thai food is known for layering many different flavors and tastes, combining to create a treat for the senses. 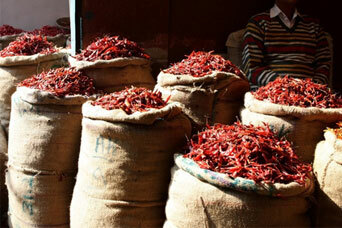 One common characteristic of Thai cuisine is its liberal use of hot chilies. How brave are you?? Thai food is so tasty that it was bound to find its way to every corner of the world... even to Tel Aviv (and to Learn Hebrew Pod’s Lesson 65)!